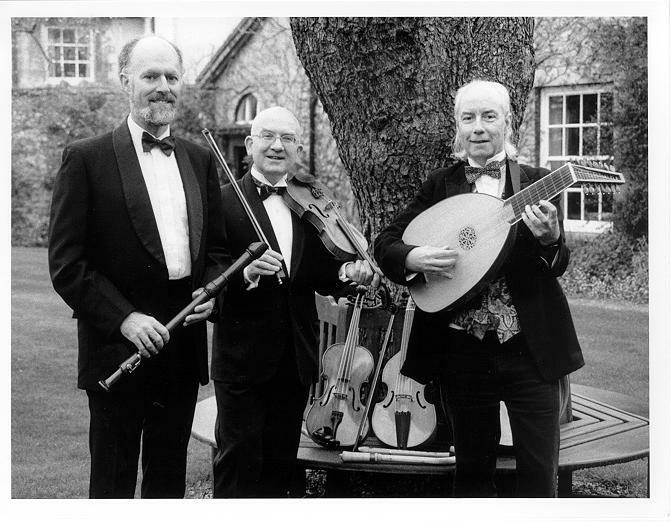 From 1996 to 2000 I played "Renaissance and Baroque pub music" in the Oxford-based trio Westron Wynd. My contribution was on such things as crumhorn and glockenspiel, as well as violin and viola. The other members were Frank Underwood on lute, viol and keyboards, and Martin Price on vocals and recorder. Mostly we played in various Oxford colleges, and also in Oxford's Holywell Music Room. An unusual (and memorable gig) was the 1999 GCTE Focus 3 Conference in Reading, when we were asked to give a 'global change' flavour to our set. It wasn't too difficult for songs such as 'All in a Garden Green' ("Increased concentrations of greenhouse gases? Think of all that extra CO2 making our gardens green and growing...") but was tougher for e.g. 'Pastime in Good Company' (we were reduced to saying "When this song was written, global CO2 levels were around 280 ppm...").